Appears to be using them as binoculars. 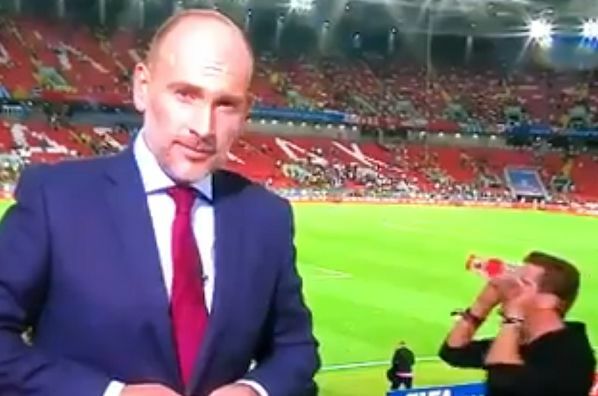 A fan with cups over his eyes walked into the background during a live television report from Colombia v England in the Round of 16. Swaggering into shot behind the correspondent, the supporter appears to be pretending to use the cups as a pair of binoculars. England won 4-3 on penalties after a 1-1 draw at the Spartak Stadium, setting up a quarter-final against Sweden on Saturday.